Hudson and Nan Polar Bears have been officially introduced, and things are going well! Early on in the introductions, zoogoers may see the two bears engaged in open-mouth displays, roaring, or even chuffing (rapid jaw movement). This is normal behavior when two bears are getting to know one another. From the positive behaviors that staff have witnessed between the two bears, Nan and Hudson should be spending the next several months together. During the introduction process, the bears will have access to both their indoor and outdoor areas. Nan arrived at Brookfield Zoo earlier this month after spending the last 16 years at Toledo Zoo in Ohio. 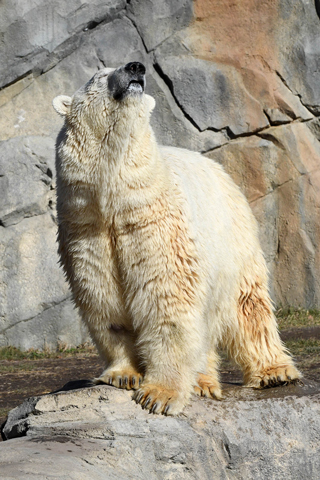 Now, at approximately 21 years of age, she will spend the month of love becoming acclimated to Hudson at her new home at the zoo’s Great Bear Wilderness habitat. In the coming weeks, a mesh barrier separating the two bears in their behind-the-scenes area will give them the opportunity to see, smell, and get to know one another. 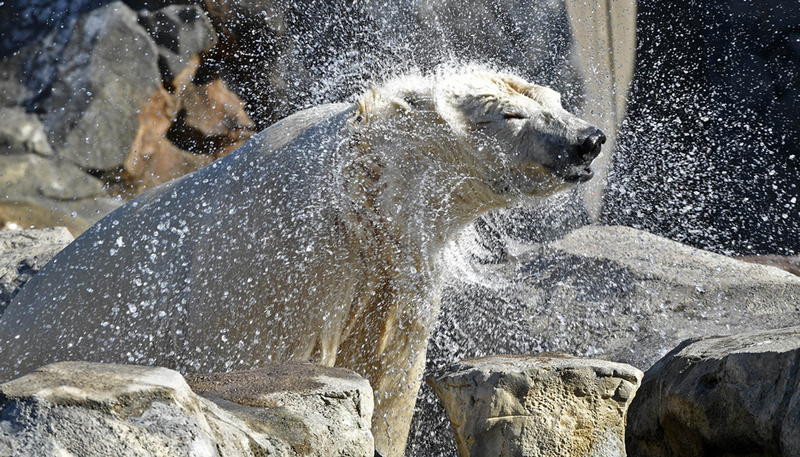 Staff are planning to officially introduce Nan and Hudson in the same habitat on Monday, February 27—International Polar Bear Day. Nan, short for the Inupiaq word Nanutaaq, which means young of a bear, was orphaned and discovered under a house in Barrow, Alaska. After wildlife authorities determined she was too young to survive in the wild on her own, Nan was placed under human care at Point Defiance Zoo and Aquarium in Tacoma, Washington, where she resided for nearly five years before being transferred to Toledo. Polar bears are currently listed as a vulnerable species, and conservation actions are considered necessary for their survival, according to the International Union for Conservation of Nature (IUCN). The species population is declining due to sea-ice loss attributed to climate change and other environmental factors, so CZS has been working closely with Toledo Zoo and the Association of Zoos and Aquariums (AZA) to help recover from population losses. According to researchers, there are approximately 26,000 polar bears living worldwide today, including in and around Canada, Russian, and east Greenland.